It does not take much guessing that the City of Nanaimo and suspended Chief Adminstrative Officer Tracy Samra signed a non-disclosure agreement upon her departure from the city. The city's clam-up about the case was a dead giveaway. Two sentences, that's all. That’s not unexpected or out of the ordinary, this type of exit has become common-place in public institutions. So, we’ll never know what the settlement was, unless of course, the details get leaked the same way that the voting record at the in-camera dismissal meeting came out. Councillors Bill Bestwick and Gordon Fuller reportedly went down with the ship with Samra, not supporting the dismissal. Councillor Jim Kipp left the meeting before the vote. Enough hints have come out to indicate that there was no financial severance agreement, but nothing about any write-off of questionable credit card charges and any other details. If there was no bundle of cash at the end of the line, we need to know that. To repeat, this type of parting of the ways is quite common, however, that does not make it right. If this were a private corporation the shareholders would be clamouring for details of where their money went. It should be no different with a public body, we are the shareholders and should be entitled to know what our elected representatives committed us to. Agreed, personnel matters need to be kept from the public domain. We don’t need to know the intimate details regarding internal politics and performance. But in this instance, as high profile as it was, the very least we should know was there or was there not a golden handshake? Was there or was there not a write-off of other financial issues on top of the full salaries collected while under suspension from the jobs. This applies to both Samra and dismissed Chief Financial Officer and Deputy Chief Administrative Officer Victor Mema. And also to the host of other city management staff who were pushed out of their jobs. The provincial government tinkers with municipal governance legislation from time to time, and this is one topic that should be addressed. Make necessary changes so municipalities can no longer indulge in secret payouts when it comes to parting ways with employees. It’s called accountability. There needs to be greater disclosure of dismissals about whether they were with or without cause – dismissal with cause should not be rewarded. Some of the dismissals can be personality clashes between management and other non-union employees. In that case the public should know how much such a spat cost the city. There has been a raft of dismisssals at city hall, going back for a number of years. Taxpayers don’t know how much money was flushed with parting gifts, deserved on not deserved. 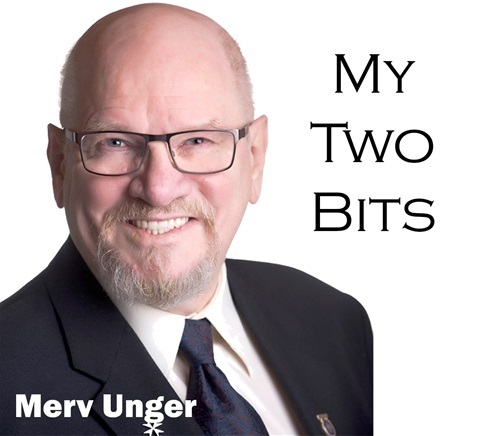 Merv Unger is a retired journalist and former Nanaimo City Councillor, living in Nanaimo.